In response to concerns about their hiring of a new solicitor, the four new members of the Tiverton Town Council have assured the public that we would seek the guidance of authorities such as the Rhode Island Ethics Commission whenever we came across a gray area. To fulfill those assurances, our request for such guidance began the day after Giovanni Cicione became the town solicitor. Indeed, in certain cases, his contract agreement requires that such guidance be sought. 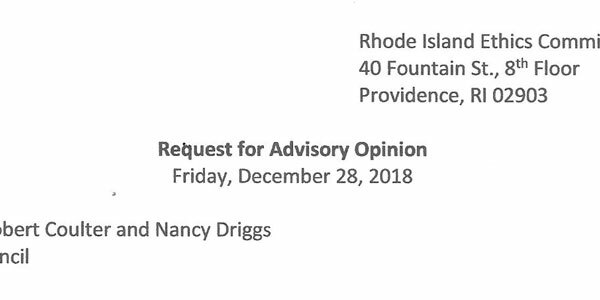 Thus far, I have submitted two letters requesting advisory opinions, along with Council President Robert Coulter and Council Member Nancy Driggs, one on December 28, 2018, and the other on January 3, 2019. The five questions that we are seeking to have answered all relate to the lawsuits that three of us filed last year and that we have filed to voluntarily dismiss or withdraw from. In Nancy Driggs’s case, the lawsuit itself remains active, with Richard Rom as the sole plaintiff. Whether we must recuse from discussion of the Tiverton Town Council’s consideration of these motions to dismiss or withdraw if any is relevant to the body on which we sit. Whether the council must hire a special counsel whom we three had no role in hiring to handle the motions. Whether the council member who previously joined Mr. Rom on his lawsuit must recuse from the council’s participation in the matter, if any. Whether the two council members who filed lawsuits separate from, but similar to, Mr. Rom’s must recuse from the council’s participation in the matter, if any. 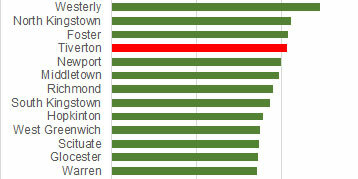 Whether the Town Solicitor hired by these council members must recuse from the handling of the case, should it arise.